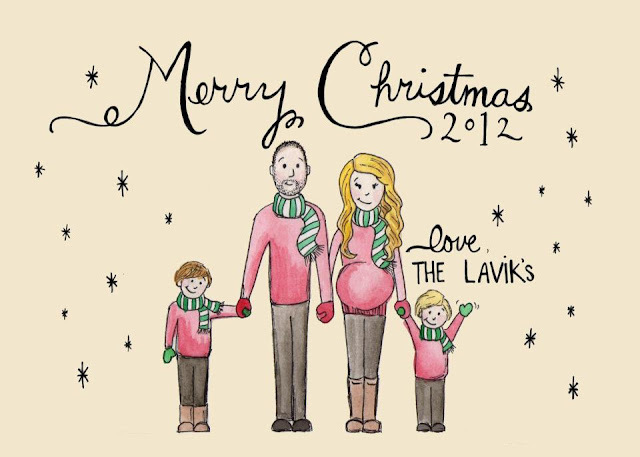 ASHLEY & CREW: christmas illustration for the laviks! christmas illustration for the laviks! what an adorable family!! i was so excited when i got an email from steph [the lovely wife + mom] asking if i could illustrate them for their family christmas card! i loved painting them in cute matching wintery outfits. :) i used black ink + watercolor for this piece + i just love how it turned out! jadon is a singer/songwriter from southern california [my husband actually used to play with him! ], check out his music here + his recent christmas project with a plethora of amazing artists - a christmas together !